Poppies are one of the first plants to bloom in spring, a promise of warmer days. 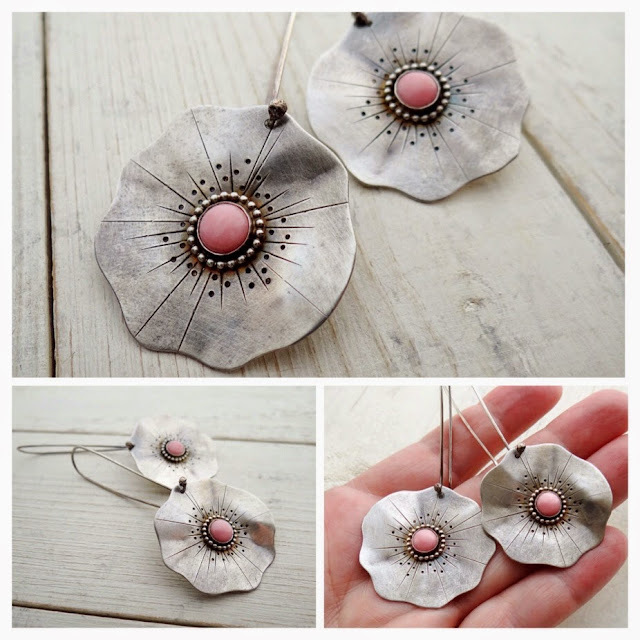 Be a darling wearing a pair of Pink Poppy Earrings featuring delicate pink coral cabochons. Sold item, contact LostSparrowJewelry to find out if this can be reproduced.